Racing Point have revealed their 2019 livery, in a team launch held at the Canadian International Auto Show in Toronto. Alongside the livery of their new car, the team also announced a title sponsorship deal with online sports betting platform SportPesa and the subsequent renaming of the team as SportPesa Racing Point F1 Team. 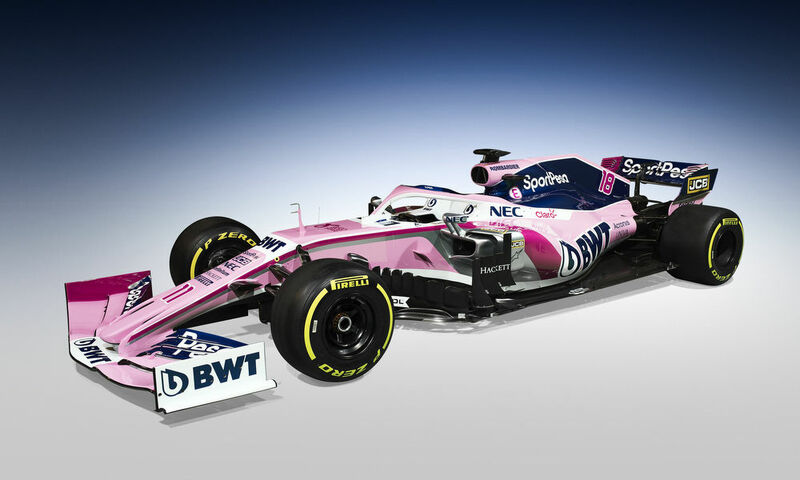 Water treatment company BWT remain as another major sponsor for the team, and as such their livery retains much of the bright pink that the team has run for the past couple of years, alongside streaks of SportsPesa blue along the engine cover and around the halo and rear wing. 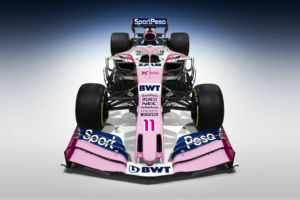 Racing Point had been running in fourth in the constructors’ championship for much of the year as Force India before going into administration over the course of the summer break. They were bought out by a consortium led by Lawrence Stroll, father of 2019 driver Lance, and managed to remain on the grid, but forfeited their points tally and arrived at the Belgian Grand Prix back at square one. They ultimately recovered to finish seventh in the championship. Speaking at the launch, team principal Otmar Szafnauer said: “After months of hard work behind-the-scenes it’s incredibly exciting to come to Canada and present our new identity. The long-term aim is to take this team to the very top of the sport.